Home > Costs > How Much Does It Cost to Build a House? If you’re taking on a build project, one of the most important first steps is to find out how much it costs to build a house. This is vital if you’re working to a limited budget. It is also essential that you understand the variables that can significantly alter build costs beyond the UK average. Here we explain the different variables and help you accurately estimate your build costs. Unless otherwise stated, per square metre (m²) costs relate to the whole floor area, rather than facing areas. What Can I Afford to Build? Unless you already own a building plot, the next step is to take a look at the price of land in your area and set aside a sum for the cost of buying a site plus legal fees and Stamp Duty (visit hmrc.gov.uk for the latest SDLT rates). 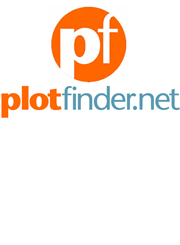 You can get a good idea of plot prices by visiting plotfinder.net — the UK’s largest database of small development sites. The balance of funds is your build budget. It’s a good idea to set aside 10–15% of this as a contingency for unforeseen costs and to pay for architectural design fees (typically around 5–6% of the build cost). 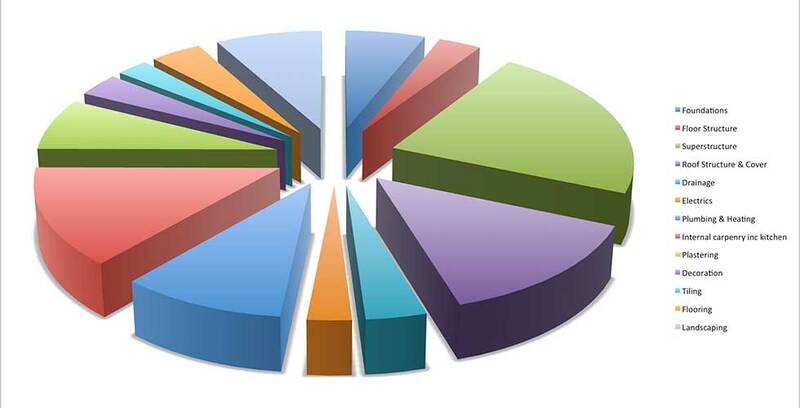 The pie chart above shows that the superstructure (i.e. the structural walling and external cladding, as well as roofing) accounts for the largest proportion of the costs, typically 25-30%, with the foundations and floor structure following closely behind. The remaining elements of a build each tend to account for between 5-10% of the total cost. The key is to recognise that individual elements can be reduced later on if other elements go over the initial budget. The outline of the packages in this pie chart also serves as a useful starting point for self builders looking to assign budgets against particular elements. Brick typically represents around 5% (£11,000) of the cost of building a house based on stock bricks costing £350/1,000. Upgrading to character bricks at £850–£950/1,000 can more than double the cost of this element (to £20,460) by the time additional labour is taken into account to lay the irregular-shaped bricks. This is especially true if they are laid in a traditional bond such as Flemish. Additional costs can be incurred with detailing, such as brick arches. Natural stone is a more expensive cladding choice than stock bricks. Using cropped coursed stone blocks to form an independent outer leaf of a cavity wall (with a blockwork or timber frame inner leaf) works out at a very similar cost to handmade brick. Using reconstituted stone costs much the same for labour, but slightly reduces materials costs. Building using traditional random stonework is slower and although the materials cost is similar, the labour cost is higher, making it more expensive. The most cost-effective option is using them at a depth of 250mm against full-fill cavity insulation and waterproofed blockwork (if acceptable to Building Control in your area). Building against a backing block to form a cavity, with an inner leaf of blockwork or timber frame, will add around £20/m². Sand and cement render on blockwork is one of the cheapest options, especially if it is self-coloured using white cement and local sand, so it does not require painting (which typically costs around £10/m² or £2,200). Adding lime will make the render more forgiving but will marginally increase costs. Modern polymer renders are more flexible but add more to materials costs. Painted softwood shiplap can prove a cost-effective choice, especially on a timber frame structure, where no backing block is required. 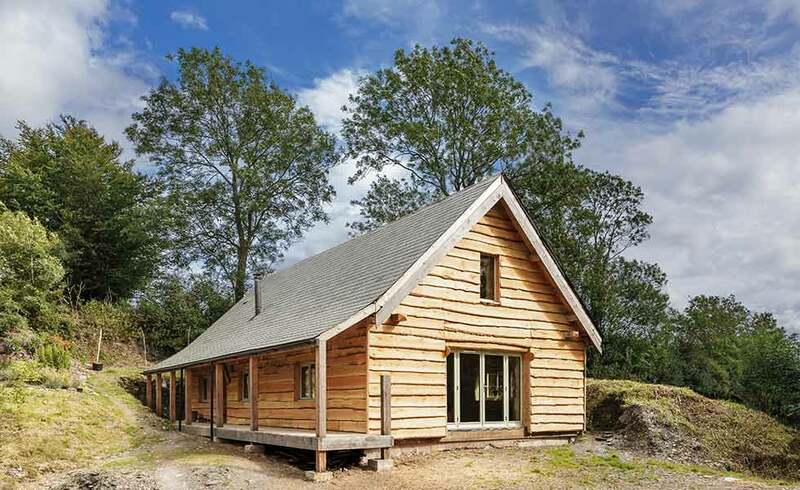 Dense timbers such as oak, western red cedar and sweet chestnut, and also heat-treated softwood such as larch, are good choices and comparable in cost to using a good-quality brick. The load-bearing structural walls of a house typically represent around 13–15% of the total build cost (£30,000) based on using concrete blockwork for the external walls and ground floor partitions, with timber partitions on the first floor. 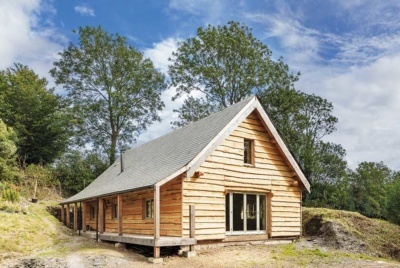 The cost of switching to a different construction system, such as an ecological timber frame with 140mm studs width, is surprisingly small across the whole house. Even if the frame costs 10% more than using blockwork, the overall impact on the cost of the house is only 10% of 15% — around 1.5% (£3,000) in total. The same applies to switching to structural insulated panels (SIPs) or insulated concrete formwork (ICF), which manufacturers claim to be between 5–20% more expensive than blockwork. That adds 1–3% (£6,000) to overall construction costs, but brings benefits in terms of faster build speed and superior levels of airtightness. 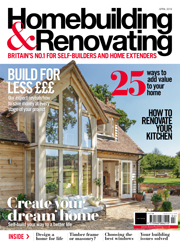 Building using oak frame construction is perhaps as much as 40–50% more expensive than using blockwork. Overall this is likely to add 6–7% (£15,000) to total construction costs. The cheapest option is to build a simple rectangular-format low-pitched roof using manufactured trusses. The low pitch means the rafter lengths are shorter, using less timber, and the manufactured trusses use a web of thinner timbers, again reducing materials costs. The more complex the roof shape, the more likely it will have to be cut on site, using more labour and timber than factory-made trusses. This will add to costs and take longer to construct. It will also require an engineer to check the design and produce calculations for Building Regulations purposes for a fee that would otherwise be covered by the truss manufacturer. More complex roof designs may also require structural steelwork. The steeper the roof gets, the more expensive the roof will be to construct. As a rule of thumb, increasing the roof pitch by 5% will double the cost of the roof, while increasing it by 10% will triple it. Developers favour large-format concrete interlocking tiles with a coverage as low as 8–10 tiles/m², keeping labour and materials costs down. 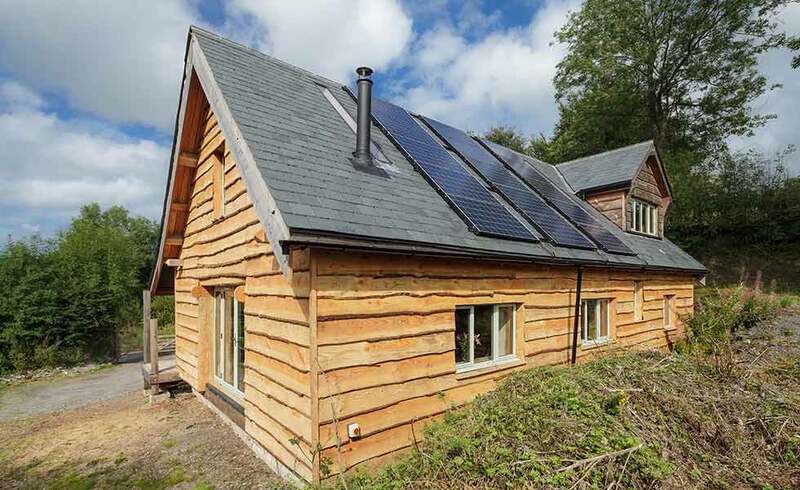 Most self builders choose more attractive, smaller-format tiles made from natural materials such as clay or slate. Unfortunately, smaller tile formats will increase labour and material costs. If you plan to use a roofing material other than that allowed for in the average costs (£20/m² Standard, £40/m² Good, £80/m² Excellent) you need to add an allowance for the net difference in cost. If you decide to go for decorative details to the ridges or verges, or to use very irregular handmade tiles, this will add to the cost of labour and materials. If your plot is not connected to mains services, allow £10,000 for connection to water, sewers, electricity, telephone and gas. If the site does not have access to mains gas, you will need to budget an extra £2,000–£2,500 — more for renewables. If there is no mains sewer, you will need to budget for an off-mains alternative (in place of a mains drainage connection, for which you can deduct £2,500). As a budget figure, allow £2,500–£3,500 for a small family and £3,500-£5,500 for a larger household. 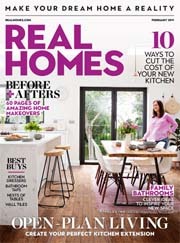 If the site is a replacement dwelling, you may save the cost of some or all service connections, but will need to set aside a similar sum for demolition and site clearance. Unlike most costs, which vary according to the quality and size of house you are building, foundation costs/m² are likely to be more or less the same whatever you build. However, it is one of the few aspects of housebuilding that you cannot accurately predict until you start digging. Unlike almost every other aspect of your build, where you are in control of the specification, it is the local authority Building Control surveyor (or licenced inspector) who will ultimately decide the foundation solution that is acceptable for your site. If the ground conditions demand an engineered foundation solution, such as a raft, piles and reinforced ringbeam, or a reinforced slab, allow an additional £10,000 in your budget. Variables that will influence your costs will be the proximity of your site to the nearest ready-mix concrete plant, and the nearest tip for removing spoil (known as muck away). Building on a sloping site will also increase costs due to the work involved in cutting and filling the site to create level terraces, landscaping work to create retaining walls for drives and paths, and the additional cost of complicated designs. As a general rule, each 5° of slope from level on the site will increase your build costs by £5,000. Concrete slab, suspended timber or beam and block? All are viable choices for your ground floor structure. The standard specification for first floors is to use softwood joists covered with flooring grade chipboard; the cost of which is £16–£19/m² (approximately £3,200–3,800). Using engineered joists such as I-beams or beams with a steel web such as Posi-joist will add to your costs by £2–£3/m² (£400–£600), but the more regular dimensions and improved stability can help avoid squeaky floors. If you are building a masonry or concrete (ICF) house, you could opt for a concrete first floor structure, using either pre-stressed concrete beams infilled with concrete blocks or large-format concrete floor panels. This offers superb strength and acoustic separation, and allows you to have masonry first floor walls throughout. 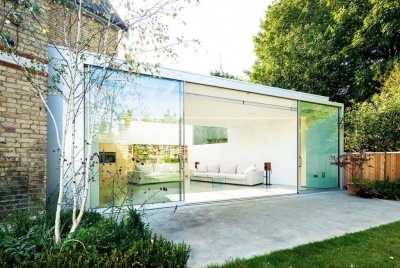 This specification will add to your costs by £8–£12/m² (£800-£1,200). There is little cost difference between blockwork and timber frame internal partition walls. Developers looking to keep down costs work with a standard ceiling height of 2.4m. Changing the ceiling height adjusts the average cost/m² for that storey by approximately 1.6% for each extra 100mm (meaning a 2.7m ceiling height on the ground floor adds £4,800 to the total costs). Following industry standards allows you to use industry standard sized materials such as plasterboard on your walls. Costs are similar for both wall finish options (wet plaster or dry-lined). The standard specification assumes emulsion paint throughout, with minimal tiling to kitchen and bathrooms at £64/m² (£14,080). The good specification includes more tiling in the kitchen and bathrooms and wallpaper in the living room at £80/m² (£17,600). The excellent specification also includes wallpaper to the bedrooms at £96/m² (£21,200). Ceilings are usually covered with plasterboard and finished with a two-coat skim of fine gypsum plaster and emulsion paint at £17–£20/m² (£3,700). If you decide to add decorative coving, ceiling roses or other decorative plasterwork, you will need to allow for extra. The main staircase is an opportunity to add individuality to a property and to make an architectural statement. If this is your plan, make an additional allowance for this above the staircase allowance included in these build costs. The standard specification solution is a softwood staircase consisting of two straight flights linked by a half-landing, with a softwood balustrade, painted or stained, at a cost of around £1,250. The good specification includes a single straight flight in painted softwood at around £1,500, while the excellent specification allows for a straight flight in hardwood, with hardwood balustrade at around £2,150. Obviously this is removed from your total build cost if you’re building a bungalow. Many modern houses do not include a chimney — especially those built by speculative developers, largely because of the cost, which starts at £6,100 for a standard specification. 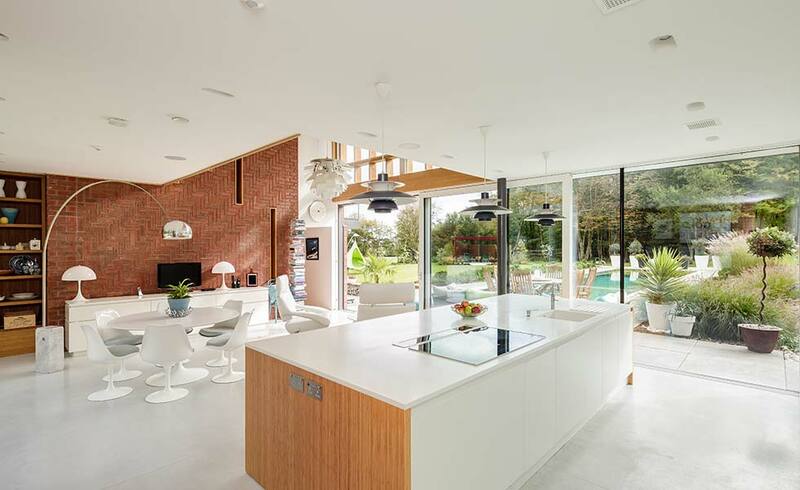 Many modern houses also forgo a traditional open flue chimney in favour of a woodburning stove and stainless steel flue, at an installed cost of around £1,650–£2,500. The standard specification has an allowance of £6,600 for the fireplace and flue; the good specification has an allowance of £8,300, and the excellent £11,300. External joinery is another feature that self builders place a great deal of value on, and consequently tend to invest in quite heavily. If you want to go for bespoke windows, get a quote from a joinery supplier and substitute their price for the allowance/m² (joinery allowance for your chosen specification multiplied by your gross internal floor area). This is another area where many self builders choose to make an upgrade from a standard specification. If you plan to put in more expensive doors, you will need to account for this in the total build cost. If you are going for a top-of-the-range designer kitchen then get a price from your supplier, including fitting, and substitute this for the kitchen allowance per square metre when calculating your build cost. Plumbing costs are much the same regardless of the specification you choose, but the cost of sanitaryware and brassware varies enormously. 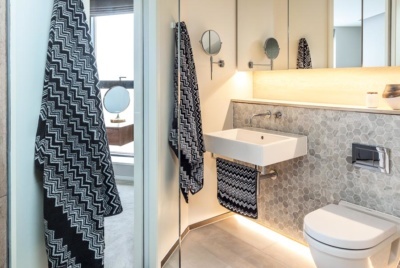 The quality and area of tiling on the floor and walls varies from £23/m² upwards, and then you can add showers and enclosures, heated towel rails, underfloor heating, luxury baths and more. The costs in the tables allow for two bathrooms and one cloakroom at the relevant cost. If you plan to fit more bathroom facilities, or better quality facilities, then use the typical cost allowances below to allow for this in your overall build cost. Built-in wardrobes and storage areas are already allowed for within the costs at roughly £20/m², £30/m² and £40/m² for standard, good and excellent specifications. A standard heating solution is a radiator system with a gas boiler and basic controls. A standard central heating system will cost £18–£23/m² (£4,000–£5,000) and this is the allowance in the average build costs. 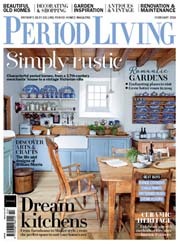 Underfloor heating is typically more expensive, so allow £30–40/m² (£6,600–£8,800). If you want renewables, add this in to your budget accordingly. The standard costs allow for the inclusion of a mechanical whole-house ventilation system with heat recovery, around £1,600 for houses under 150m² and £2,100 for larger houses. Standard costs do not vary much from house to house other than by scale. If you decide to fit anything out of the ordinary (e.g. a whole-house structured cabling network), you will need to make an allowance for these upgrades. Stamp Duty and Land Tax: The tax is cur­rently levied at 2% for land or house purchases valued from £125,001 to £250,000, 5% for plots valued from £250,001 to £925,000, 10% between 925,001 and £1,500,000 and 12% above £1,500,000. (Bear in mind that self builders buying a plot which is effectively a second property are liable to pay the additional 3% surcharge but are exempted from it if they sell their old home within 18 months of buying the plot). What Factors Affect Build Cost? The bigger the house, the more it will cost to build, but there can be some economies of scale that reduce the average cost/m² for larger houses, making a carefully-designed large house better value. The savings are mainly in the cost of building the superstructure, especially the foundations, walls and roof. The cost/m² of gross floor area for external walling elements decreases as the wall/floor ratio decreases. Other one-off unit costs for items such as service connections, staircase, kitchen and boiler are spread out further on a larger house. To maximise efficiency, the design needs to be kept simple and avoid unusually large spans for floor joists/beams, rafters etc. Complexity of design is one of the biggest factors affecting build costs. The simplest and most cost-effective floorplan is square. Compared to a square plan, a rectangular plan requires more wall for the same floor area, thus increasing costs. The longer and narrower the floorplan, the less efficient it is to build. Building straight walls is cheaper than building corners, which slows down the build process and adds to labour costs. Thus, the more angles introduced into a floorplan, the greater the cost, so a simple design with few corners is cheaper to construct. Angles other than 90° right angles are even more time consuming to set out and build and so will increase costs further. Curved walls are among the most expensive to build of all. Two of the largest fixed costs in constructing a house are the foundations and the roof. The specification and cost for a set footprint and roof layout will not vary whether the design is single storey, two storey, or three storey, yet the overall area of the design will increase dramatically — spreading out the cost. Multiple storeys also make better use of land, which is the most expensive element of all. If you want to get the maximum development return on a site, it often pays to build as many storeys as possible. The cost of constructing a basement largely depends on the digging out and removing of spoil. This cost – and the cost of waterproofing the structure – is mitigated to some extent by the fact that fewer windows are usually used than for above-ground storeys, and there is no external wall cladding (e.g. brick or stone). As ever, the quality of fixtures and fittings will be a major factor in the final cost. For the purposes of producing a budget figure for your basement, measure the gross internal floor area and use the same costs/m² as for above-ground space. The average build costs are based on the cost of using a main contractor to manage the whole build. take legal responsibility for the site. If you take on this role by hiring subcontract labour directly, providing materials and facilities as required, you can reduce the build cost by 10-15% depending on how efficiently you manage the project. Approximately 35% of the total cost of building a house is labour, so if you decide to substitute some or all of the labour costs with your own DIY labour, you can reduce the average build cost substantially. 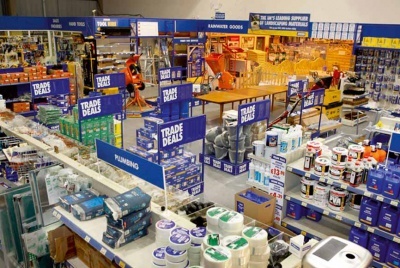 You can undertake almost every aspect of the building work if you have the time and skill to complete it competently, except for connecting gas appliances. Typical savings for a DIY self builder doing roughly 25-30% of all the work amount to 20-25% of the total cost compared to using a contractor. On larger projects, a professional is usually retained to put the project out to tender, appoint the contractor and administer the contract through to completion. The fee for this is typically 3-5% of the total contract value (construction cost). If you take on this role yourself you can save this fee (which isn’t included in our base figures). Although the cost of many of the construction elements such as the foundations do not vary based on quality, the cost of external facings, joinery, flooring, fittings – and renewables – can potentially double the cost of building the same house compared to a standard specification. Where is the pdf for the build cost table referred to in the article? We recently removed it as the prices are a few years out of date now and we are in the process of updating this content. I will remove the mention to avoid further confusion so thanks for spotting this. I have added the Build Costs Table from the latest issue of the magazine for now. Keep an eye out for our full Build Costs Package. How much will it cost to build a 3bed house in sa2 about? Didn’t know you could get over 100%..! As it is 0.1% over, I’m wondering if the labour should have read as a straight 26%. All of our costs articles are due an update anyway so I will make sure that pdf is updated at the same time. 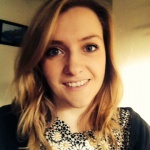 Great articles anyway, and pretty useful for business planning – keep them coming!